Cards in each player's discard pile cannot leave that player's discard pile by player card effect. 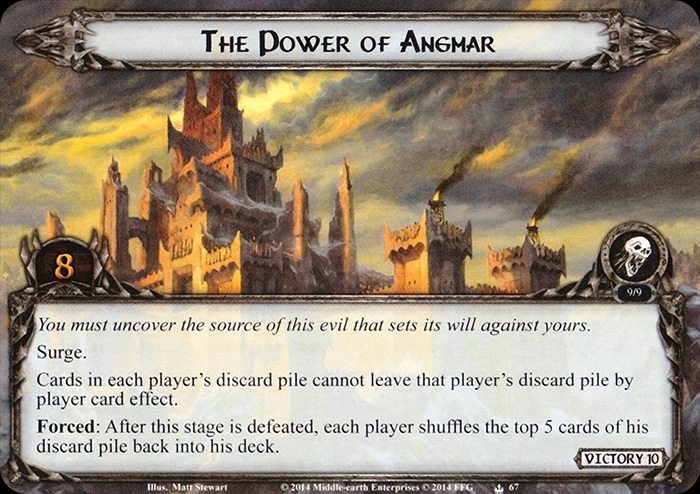 Forced: After this stage is defeated, each player shuffles the top 5 cards of his discard pile back into his deck. You must uncover the source of this evil that sets its will against yours.